The former French international player David Ginola has found success post retirement due to his modeling and acting stints. Known for his idol Kevin Keegan’s cavalier style of playing soccer Ginola drew media attention both in and off the soccer pitch. Today Ginola can be seen as a regular contributor to BBC, BT, CNN, and French local show Canal +. Ginola was a binding force as a forward at Newcastle United during the club’s ‘entertainers’ era. Post retirement Ginola was an ambassador for the Paris 2012 Olympic bid, he also served as an ambassador for the French Golf Federation in their successful bid to host the Ryder Cup in 2018 in France. Ginalo was quite lucky enough to survive a near fatal cardiac arrest which resulted in him having a quadruple bypass surgery from which he harrowingly survived. David Désiré Marc Ginola was born on 25th January 1957 in Gassin, France. From a young age onwards Ginola was able to impress everyone with his swinging ability to twist, turn and strike the ball beautifully. An 18 year old Ginola was signed on to play professionally by French club Toulon. 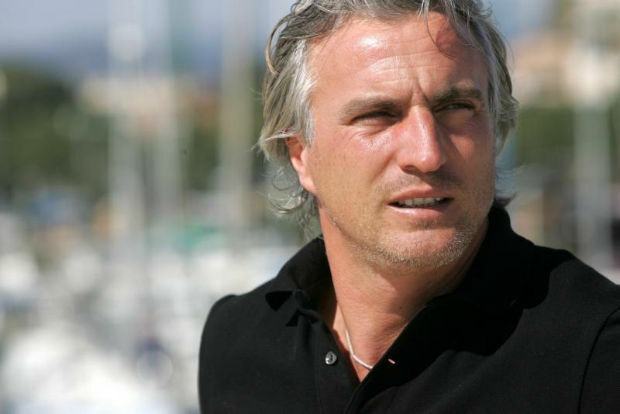 Ginola played professional soccer for his native France for 10 seasons; he started off at Toulon, than came RC Paris, Brest and finally Paris Saint Germain. From Paris Saint Germain he moved across the channel to Newcastle United where he has left behind an incredible legacy. Ginola managed to thrill the crowds in France and the UK with his pace and elegant touch with the ball. Ginalo joined Newcastle United for a fee of £2.5 million, his presence made Newcastle perform the best in decades and he played an integral part in this success. However his time at Newcastle United was short lived as the manager of the club, and Ginola’s idol Kevin Keegan left the club and Ginola soon followed suit opting for Tottenham. After three years at Tottenham Ginola moved to Aston Villa before settling down at Everton where he played till his retire days in 2002. Despite being a prominent player, Ginalo didn’t get a chance to see much action whilst playing for the French national team. He capped only 17 times in his career while playing for France. Back in 1987, Ginola had played for the U-21 French team at a Toulon tournament and was named the tournament’s best player. He scored 2 of the four goals in France’s defeat against England in the final. However it was a different story for the older Ginola who made a silly error during France’s qualifying match against Bulgaria. His error sent France crashing and Ginola was blamed by the manager and the media for dismantling France’s chances for qualifying in the 1994 FIFA World Cup. It was a bitter pill for Ginola to swallow but he set his pride aside and played great soccer during the league matches. His inability to make a prominent mark on the French national team haunted Ginola immensely. David Ginola was voted ‘Player of the Year’ in both his native France (1993) and England (1998–1999 season), the only French player to have been bestowed both these honours.